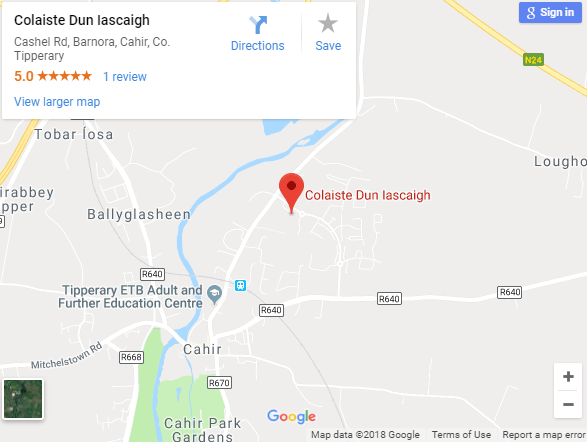 Coláiste Dun Iascaigh opened its doors for the first time in 1997. It is a modern, well-equipped facility on an extensive site, providing progressive, broad-balanced, fully inclusive education for the local communities.It is a co-educational, multi-denominational College operating under the auspices of Tipperary Education and Training Board (TETB). Specific functions in relation to the organisation, control and development of the Coláiste is devolved to a Board of Management. The Board consists of three representatives of TETB, three representatives of the Sisters of Mercy, two parents, two teachers and a representative of the minority religions, local associations, organisations and interests, if deemed necessary.The Principal has responsibility for the day-to-day management of the Coláiste and is accountable to the Board of Management/ TETB for that management. 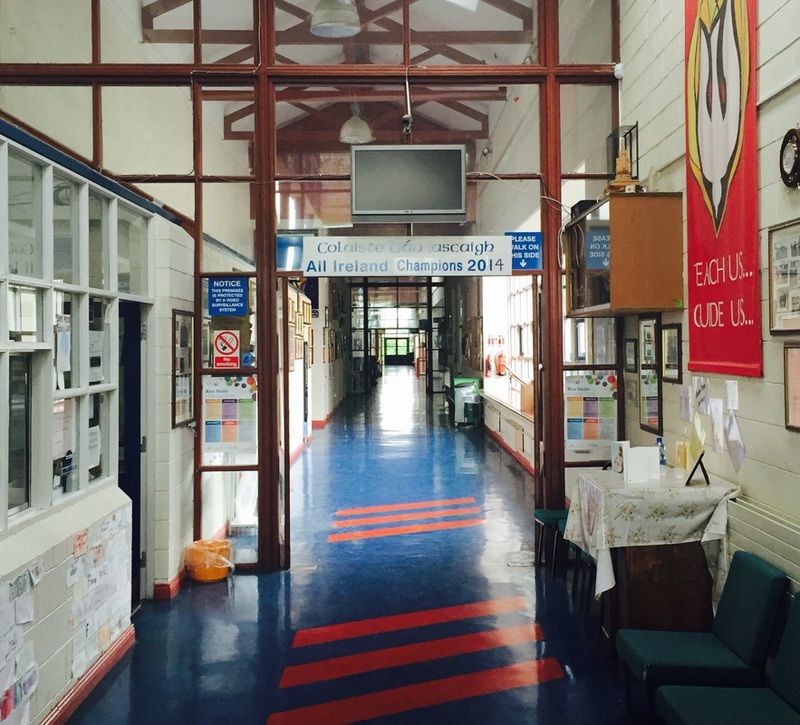 The Coláiste has an active Parents’ Association and Students’ Council.Facilities in the Coláiste include general purpose areas, library, PE hall, demonstration room, general classrooms and specialist rooms for practical/technological/scientific subjects. A recent addition is the facilities for an ASD class. Outdoor facilities include all-weather pitches, playing fields and basketball/tennis courts. The Coláiste has a full-time chaplain, who pays attention to students’ moral and personal development, two guidance counsellors to help students with personal/educational needs, career and further education choices and six specialist teachers to help students with special needs.The Coláiste recognises the importance of enhancing the social, physical and mental development of each student and creating an atmosphere in which one can derive satisfaction and enjoyment from group participation. The Coláiste operates within the context and parameters of existing legislation, the regulations and programmes of the Department of Education and Science (pursuant to Sections 9 and 30 of the 1998 Act, which may be changed from time to time, subject to the directions of the Minister), the rights of the patron as set out in the Education Act 1998 and other relevant legislation, the Coláiste Mission Statement and the funding and resource available.